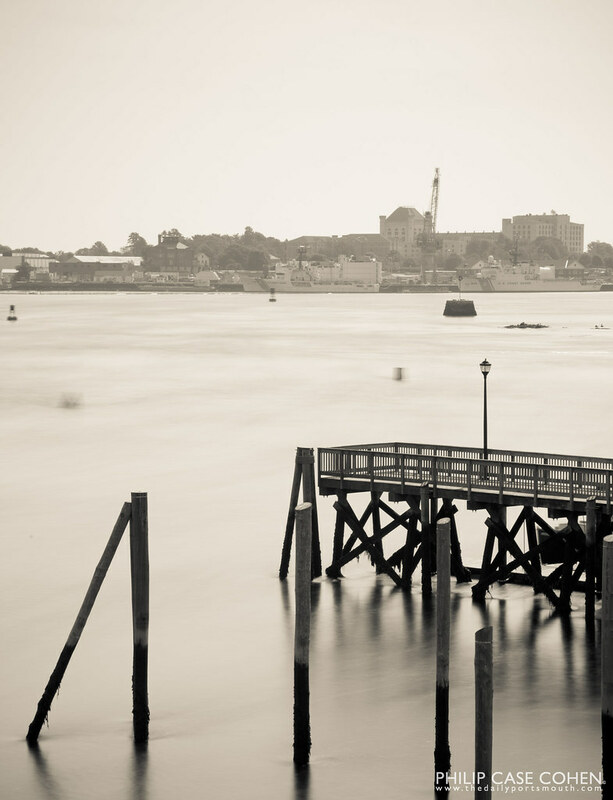 The Memorial Bridge provides a great bird’s eye view of a few parts of Portsmouth. Prescott Park suddenly appears miniature along with the piers that reach over the Piscataqua River, and the Shipyard looms in the distance. In this shot, the fast moving river has been smoothed out thanks to some neutral density filtering, while the Naval Prison stands on the horizon looking like the big hulking ominous structure that it is. I went with a more vintage style processing here because it looked good with the dark contrasting colors of the pier and pilings in the foreground.